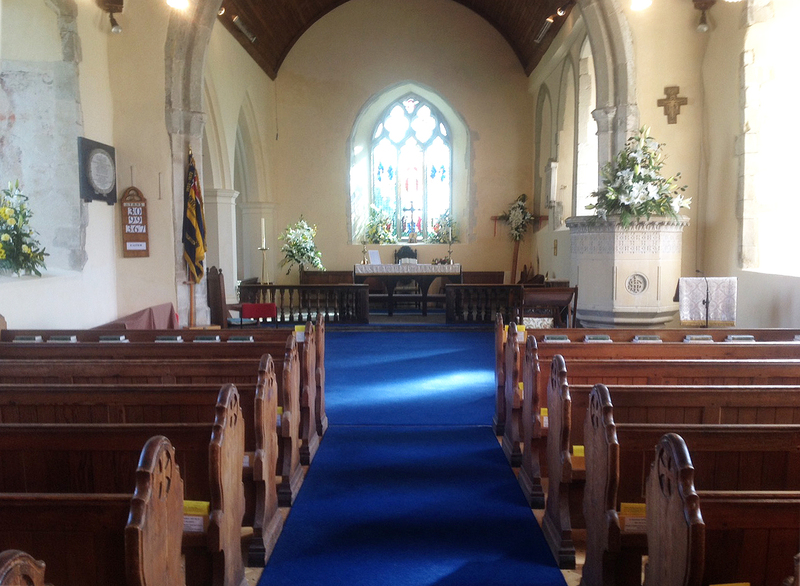 The Nave was built about 1100 by the Normans. The roof of the Nave is late 14th or early 15th century. 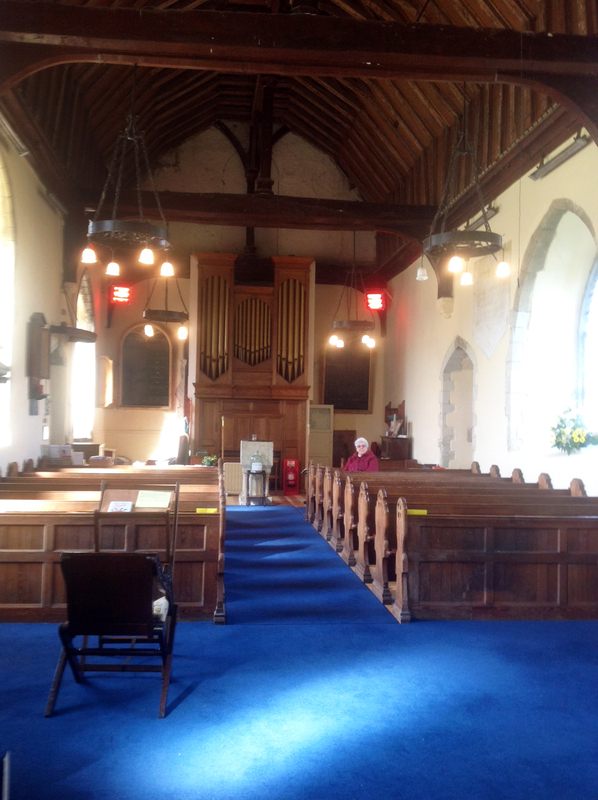 The roof consists of three bays, tie beams and octagonal king posts with moulded capitals and four-way struts. 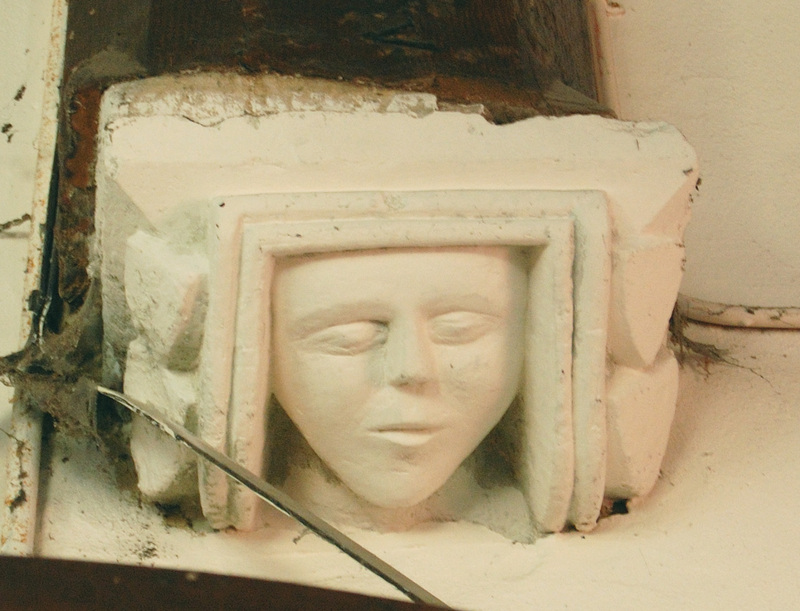 The western pair of supporting stone corbels are late 13th or early 14th century and the eastern pair are later. These had been painted over and resembled wood. 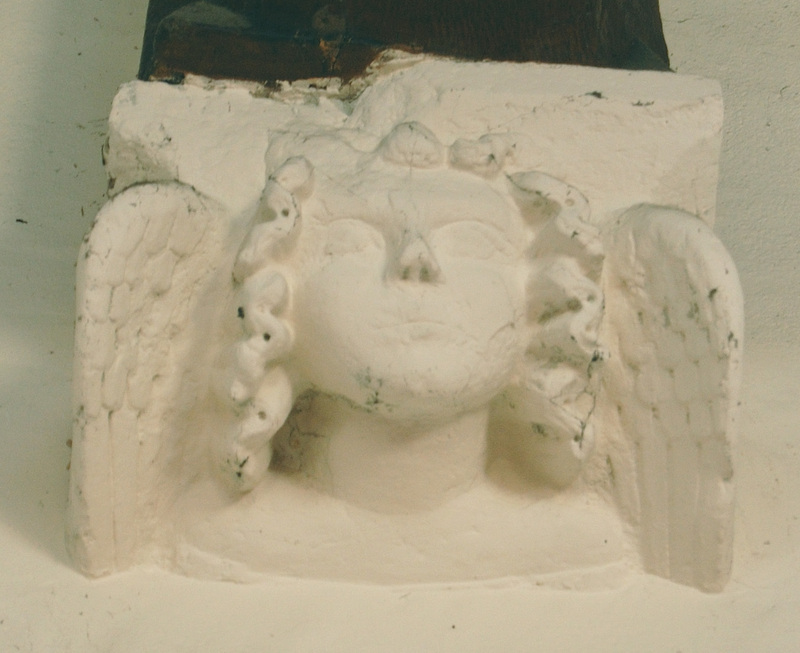 In 1907 it was discovered that they were stone and the paint was removed. 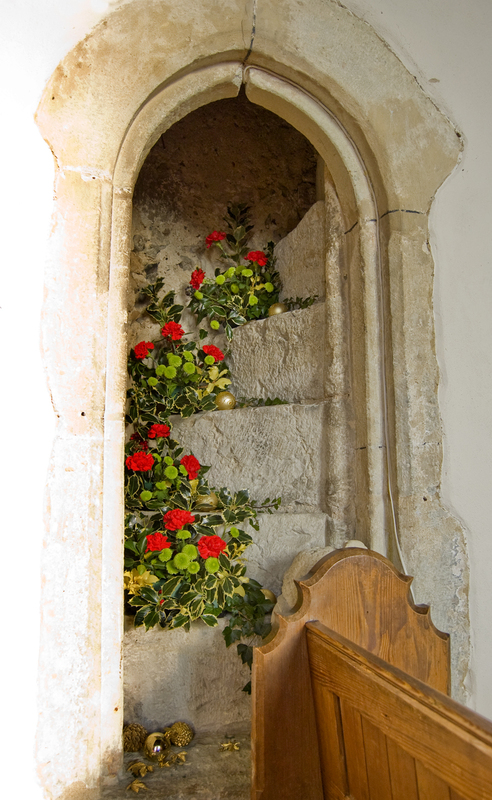 The 15th century rood stairs, which were rediscovered in 1870, are on the north side of the nave. 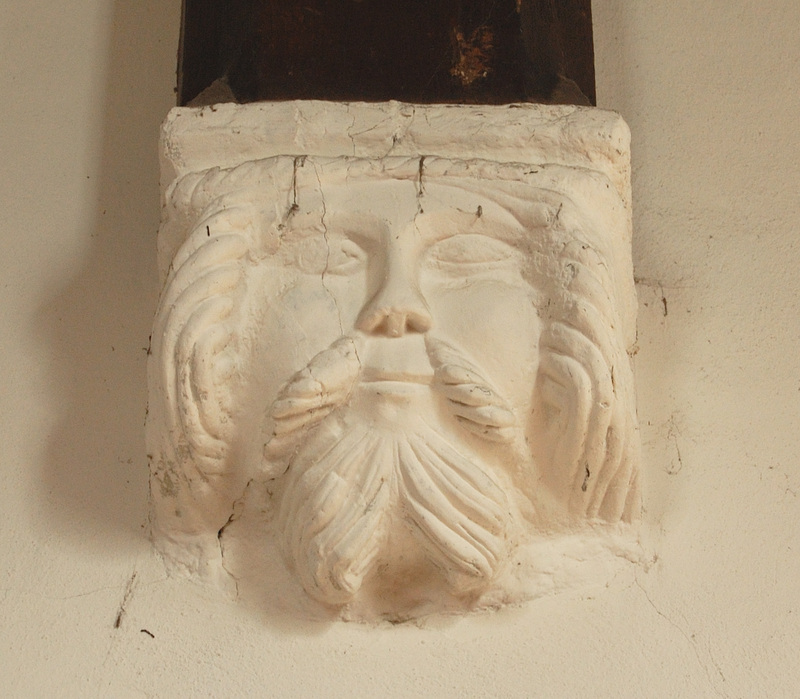 These would have led to a loft above the rood screen. There is a piece of timber set in the splay of the north-east window that may have formed part of the rood loft. 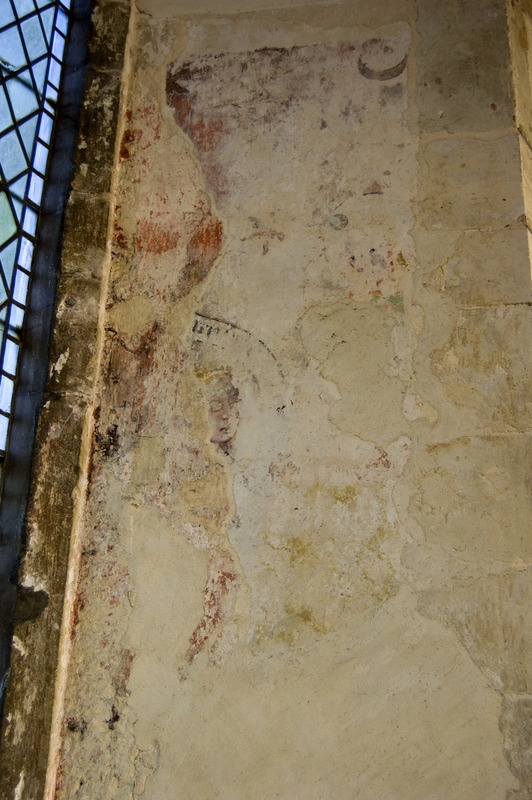 In the window recess above the rood stairs is a wall painting. 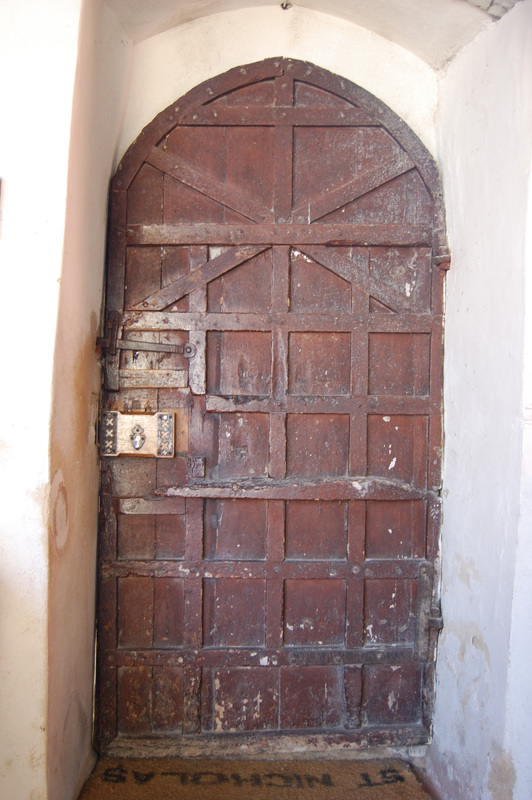 Thought to date from the 15th century, it was exposed in 1974 during renovation work. 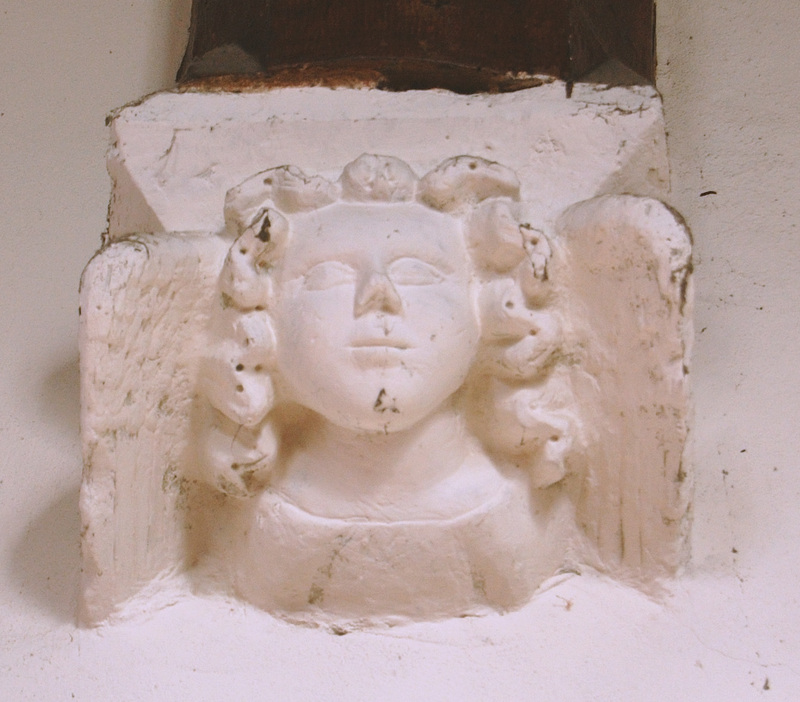 It is believed to represent the Annunciation, and a dove (depicting the Holy Spirit) can be seen on the right. 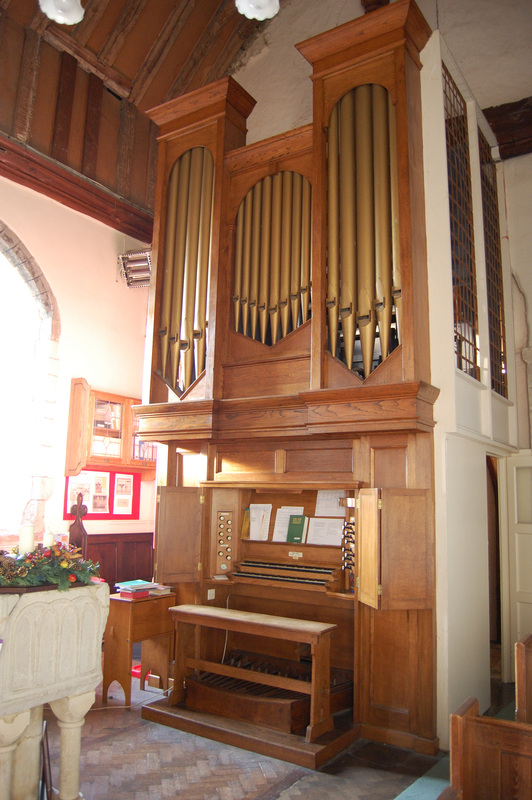 The organ is a two-manual instrument with radial pedal board, built by Roy Huntingford in 1929. In 1964 it was rebuilt and expanded by Cedric Arnold, Williamson & Hyatt Ltd of Thaxted, Essex. It has 15 speaker stops. The tower arch behind the organ was built about 1126. It is semi-circular with chamfered imposts. Above this arch is a blocked Norman window dating from around 1100. 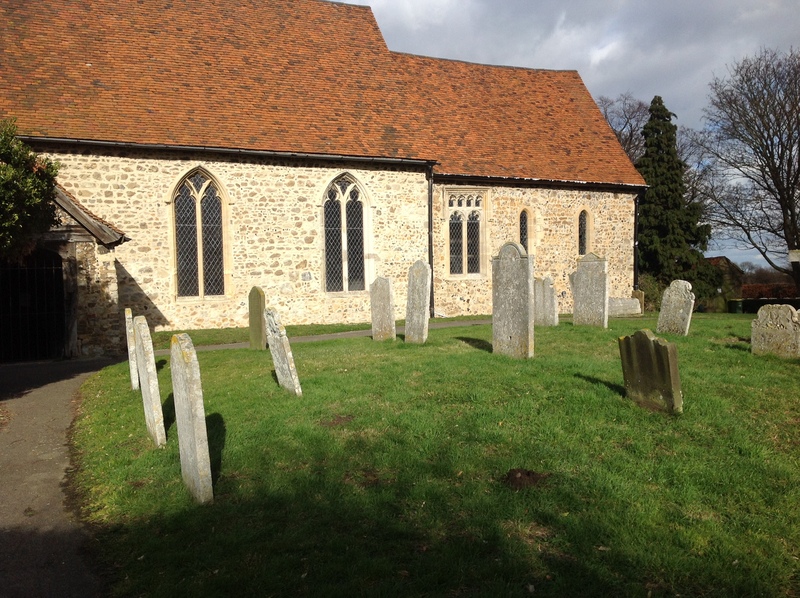 The Norman font dates from around 1200 and came from a church in East Horndon around 1970. 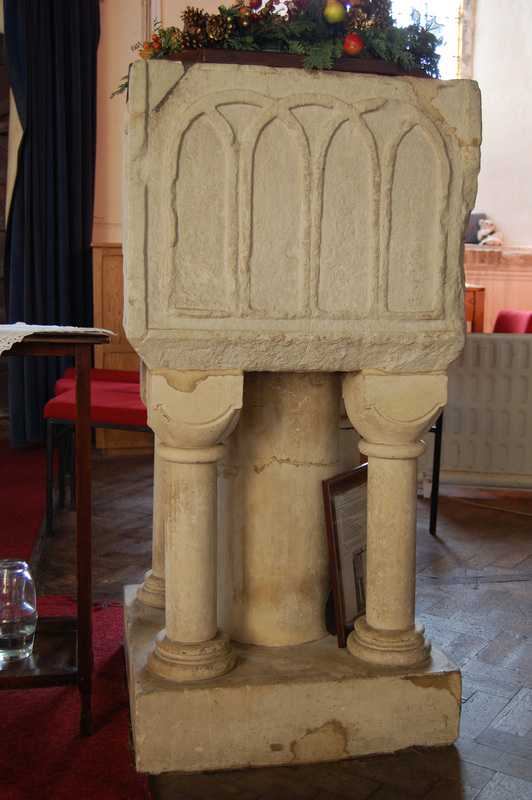 The original Norman font was destroyed in 1907 because it was badly damaged. 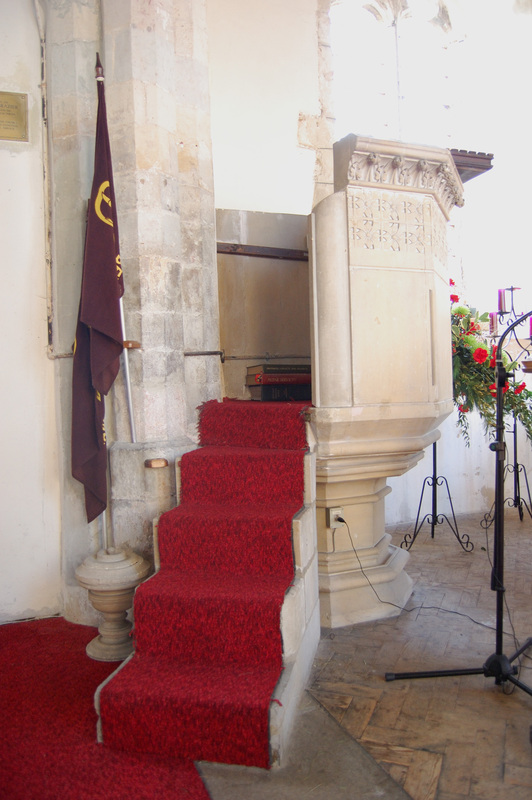 It was replaced by a Victorian font that matched the current pulpit (above). 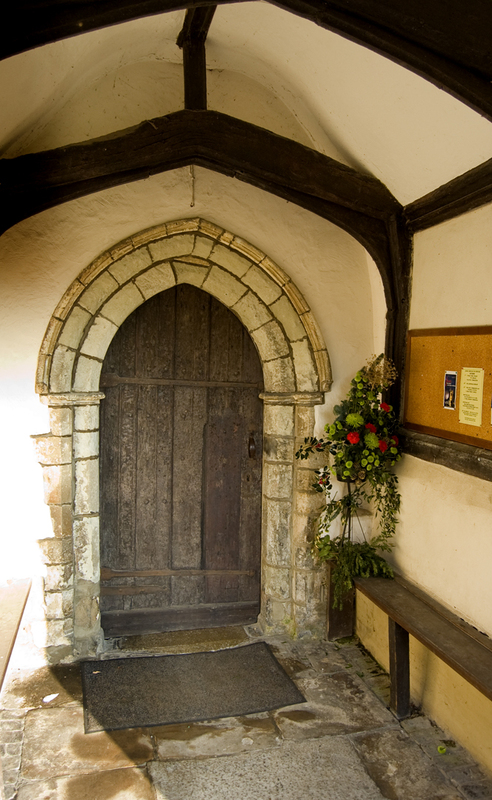 The main door, opening onto the South Porch, probably dates from the 15th century. 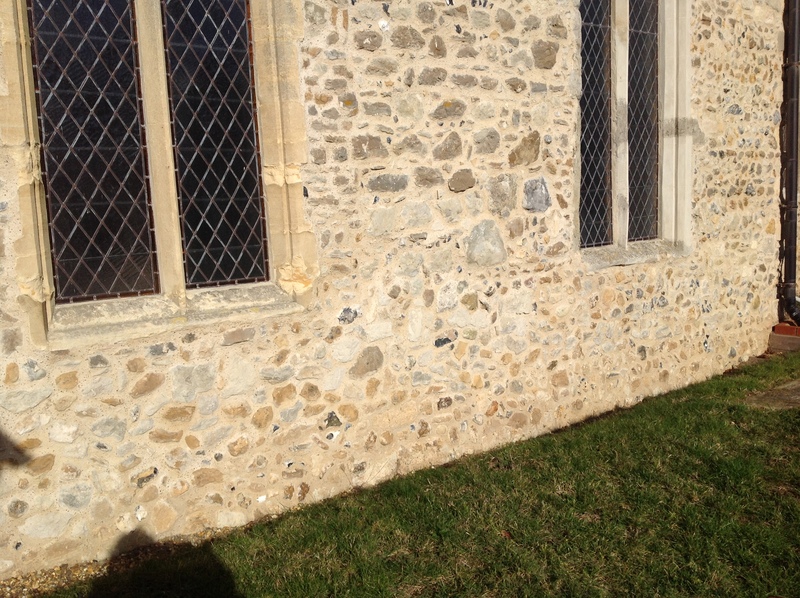 In 2016, the south wall of the Nave was restored, paid for with funds raised by the Friends. Restoration of the south wall included new drains. The south door and the south porch. The south wall after restoration. 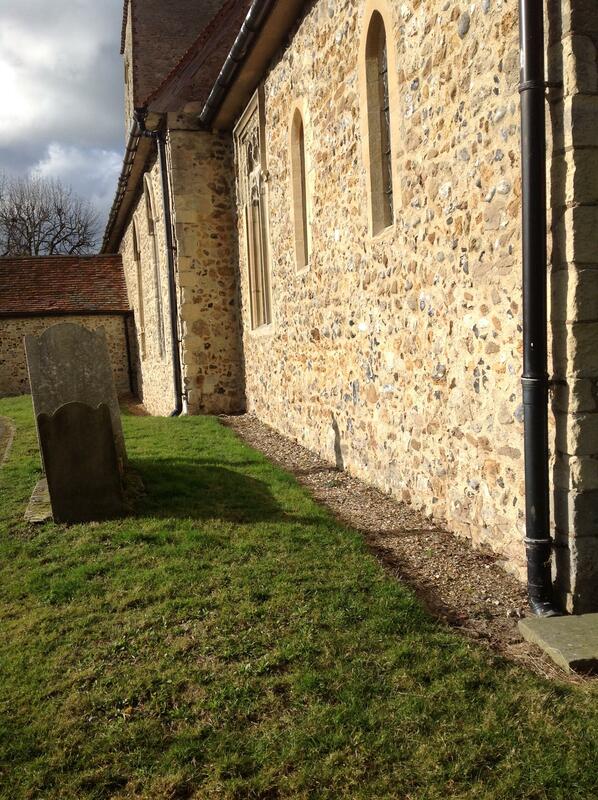 The Nave south wall after restoration.